Hello everyone! 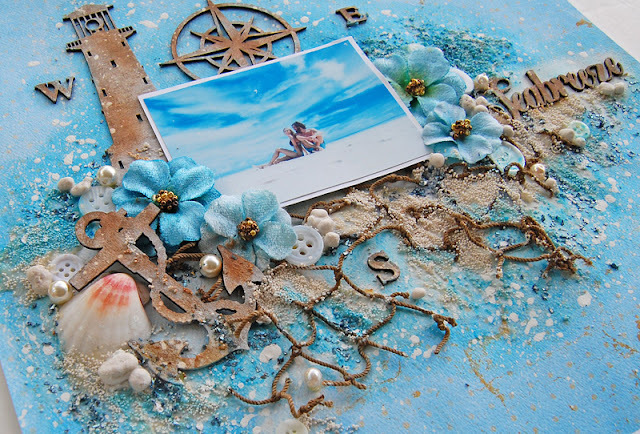 Today I'm sharing a beach mixed media layout with you that I created with some of the fabulous Creative Embellishments chipboards. 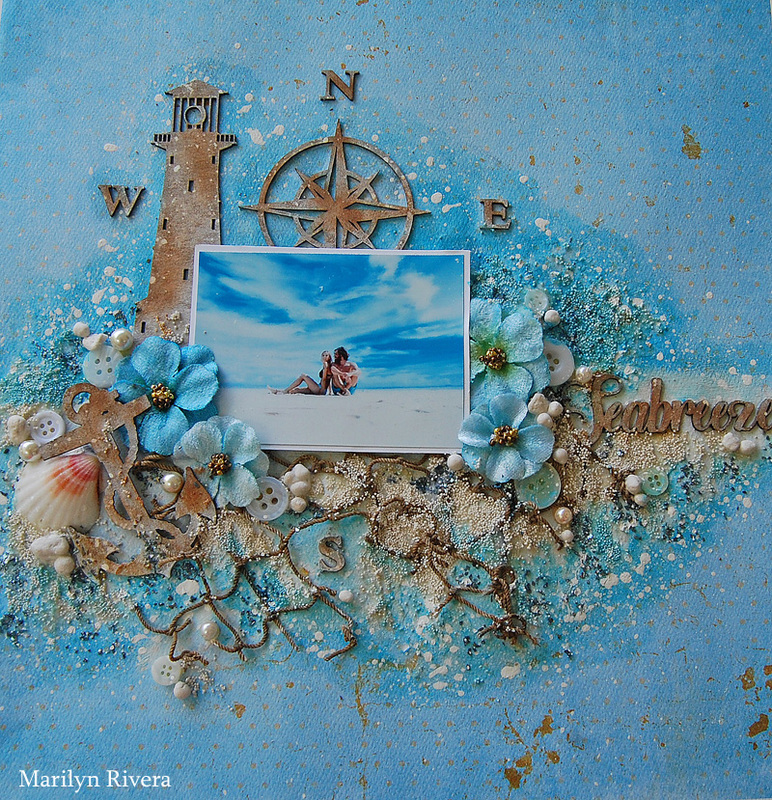 I selected the Nautical 6 pieces set chipboard and gave a coat of gesso, after dry I took a sponge and applied Distress Oxide Ink in Vintage Photo color to all the chipboards to create a vintage, rusty effect. 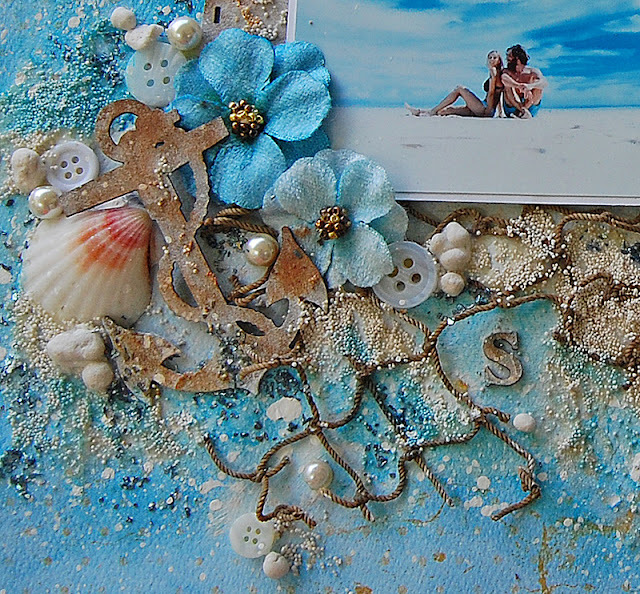 The paper is from the Double Dot collection by Bo Bunny. I did the same techniques that I gave to the other chipboards to the word Seabreeze from the Beach Word Set 2. 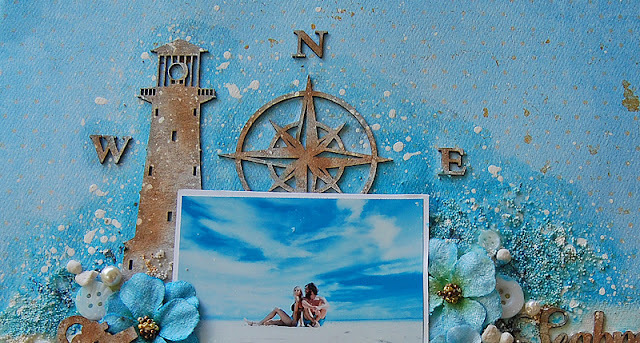 I love how the different nautical pieces looks on the background. I I gave texture on the background with a texture crackle paste with 3D powder. 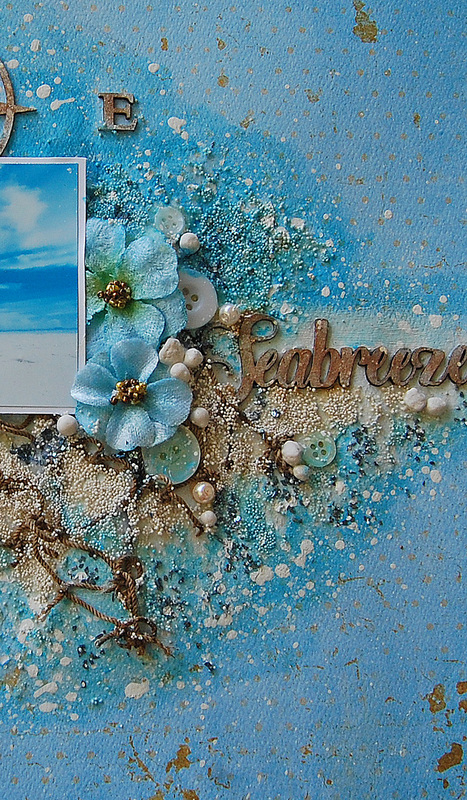 Then I painted the background with Color Blooms. You can see from this angle all the textures and dimension. Well I hope you find some inspiration, Thanks for stopping by….until next time!